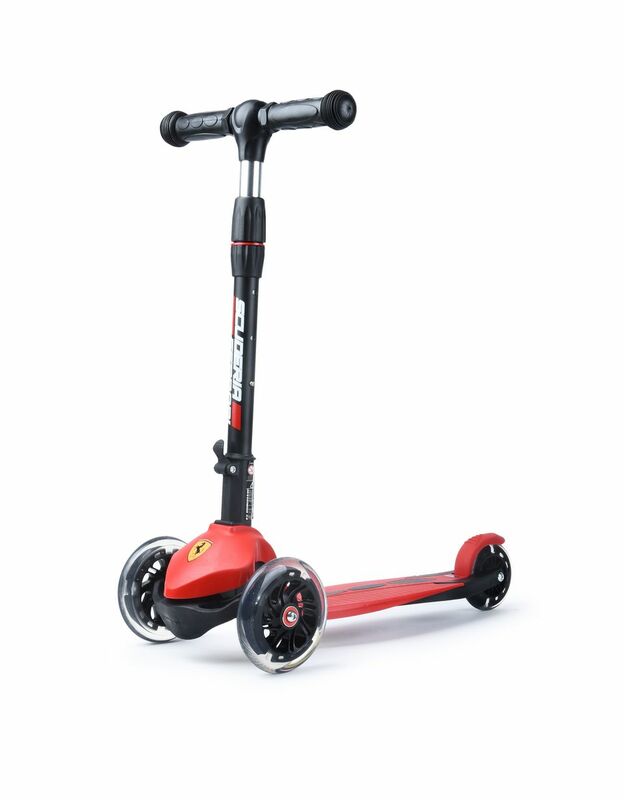 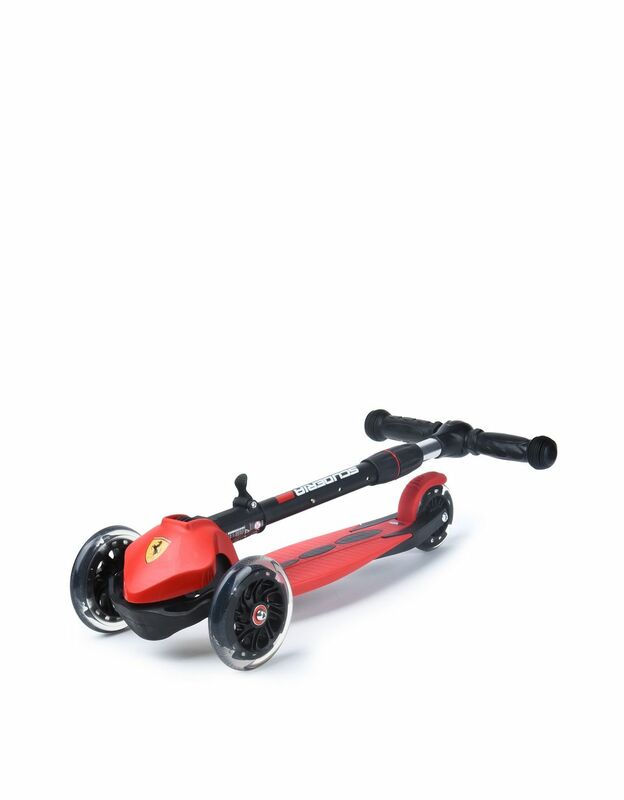 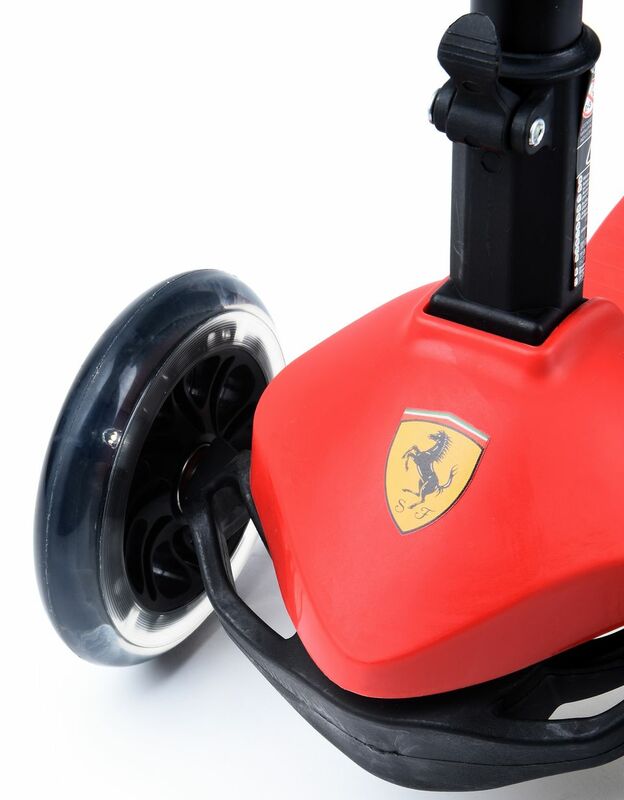 Three wheels, an aluminum frame and a Shield in the classic colors create a scooter for children who want to enjoy speed right from the start in the spirit of Scuderia Ferrari. 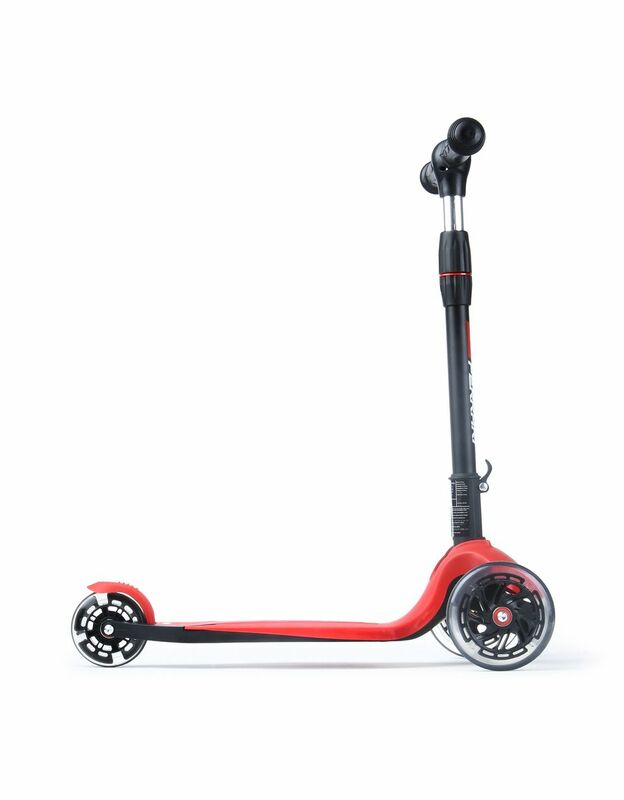 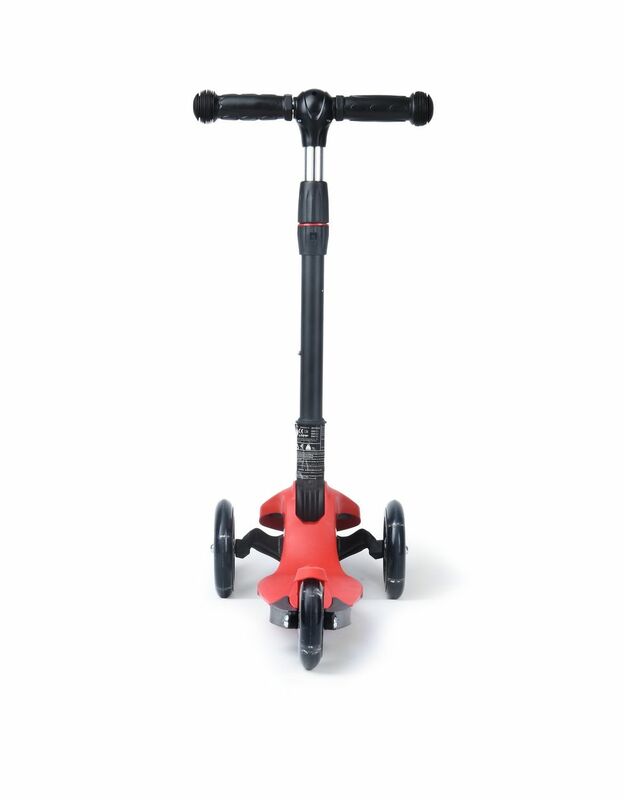 The aluminum frame and polypropylene deck make this three-wheeled folding scooter lightweight and easy to carry, even in a backpack. 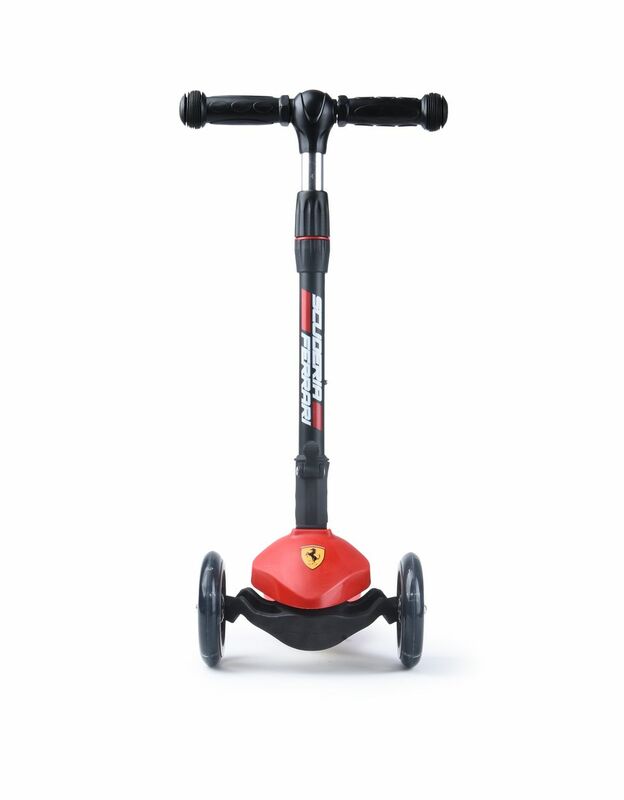 The adjustable handlebar is rubber-covered to ensure a comfortable grip and control worthy of a Ferrari driver, while the three wheels are shock-absorbing and equipped with an LED light.